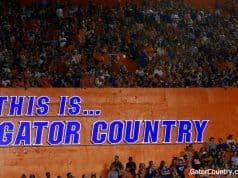 GAINESVILLE, Fla. – The No. 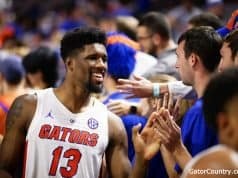 11 Florida Gators swept the Ole Miss Rebels on Friday night to start conference play out on a high note. UF took the first set 25-17, then followed with a 25-12 victory in the second frame. It was all Gators in the final set, securing the match with a 25-15 win. 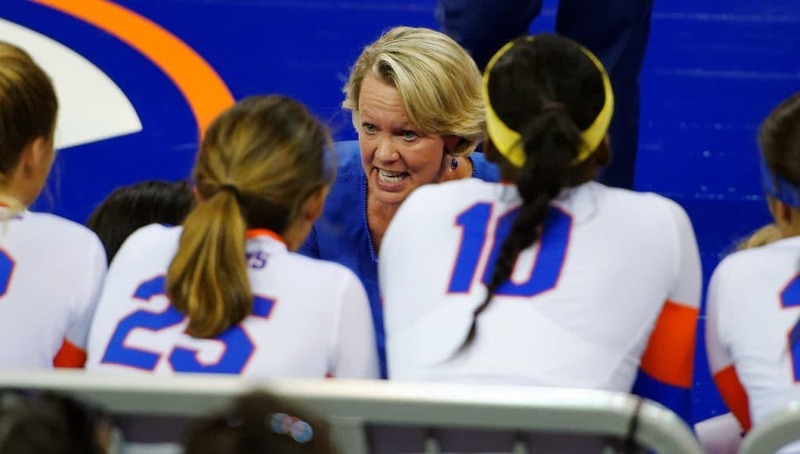 With the win, the Gators move to 28-0 in SEC openers under head coach Mary Wise. 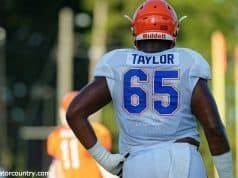 The last time Florida lost a SEC opener was in 1990. Holly Carlton led the offense with an astounding .833 hit clip, racking up 10 kills and no errors. Two other Gators recorded hitting percentages of over .500 while collecting at least five kills – Rachael Kramer (five kills, .625) and Taelor Kellum (six kills, .600). Allie Monserez once again led the squad in assists, dishing out 22 during the match, while Marlie Monserez followed with 10. Allie Gregory led the defensive effort on the floor with 15 kills and Kramer led the defense at the net, securing five blocks. Florida continues its SEC opening weekend with a match against Mississippi State on Sunday. The matchup is slated for a 1:30 p.m. start in Exactech Arena and will be streamed on the SEC Network +. – The Gators never trailed in the first set, taking a 5-2 advantage early. Allie Monserez and Thayer Hall gave Florida the 15-7 lead after piecing together service runs of four points and three points, respectively. Over the next 10 points, Florida notched five kills and took advantage of three Ole Miss errors to clinch the victory. o Florida hit .370 during the first set, racking up 14 kills in the process. Holly Carlton led the way with five kills and Paige Hammons and Taelor Kellum both pitched in three of their own. – Florida held an 8-4 lead in the second set before a seven-point service run by Paige Hammons gave the squad a sizeable 15-4 advantage. UF registered five kills and two blocks over the remaining stretch, securing the set win. o The Gators recorded 10 kills during the second frame, with a .214 hit clip. Florida held the Rebels to a -.138 hitting percentage and only six kills in the frame. Rachael Kramer led the way with three kills in the set, and Thayer Hall, Holly Carlton and Mia Sokolowski all added two. – The Gators stormed out to another early lead in the third set, capitalized by Paula Cerame service ace to put Florida up 9-5. Taelor Kellum lit up the floor during the next stretch of play, recording four kills to give UF the 15-9 advantage. Between service runs from Allie Gregory and Holly Carlton, the Gators remained in control and took the frame 25-15.
o UF finished the third set with a .500 hitting percentage and 14 kills. Taelor Kellum notched four kills in the game, followed by three from Holly Carlton. – UF moves to 23-0 against Ole Miss in Gainesville, Fla.
Time & Date: Sunday, Sept. 23 | 1:30 p.m.